Impeccably maintained single story ranch home! The kitchen features granite counters, stainless appliances, large bright white cabinets, travertine backsplash, and an island with plenty of counter space for additional bar stool seating area. Kitchen is open to the family room with plenty of room for entertaining. The flooring includes high end solid hardwoods, carpet and tile. Large windows allow plenty of light to flow throughout the home. The master bedroom features a coffered ceiling and 5 piece bathroom with modern finishes. Enjoy Colorado's 300 days of sunshine on the covered deck featuring low maintenance composite decking and an extremely well-maintained and fully landscaped yard with grass, rock border, and underground sprinklers. The garden level basement is light and bright, and has a large section which is already carpeted so you can enjoy some additional living space. 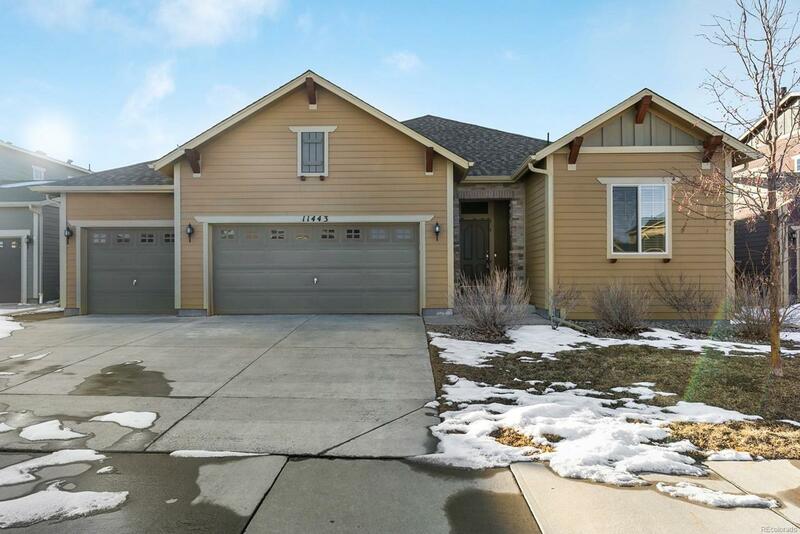 Large 3 car garage tops off this gem of a home that shouldn't be missed!